Finger Lakes Donor Recovery Network coordinates organ, eye and tissue donation in upstate New York. 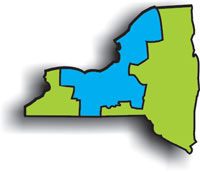 We serve communities across 20 counties and 36 hospitals in the Finger Lakes, Central and North Country regions. FLDRN’s services area highlighted in blue. Explore the illustrated, interactive body to learn about the organs and tissues that can be transplanted.